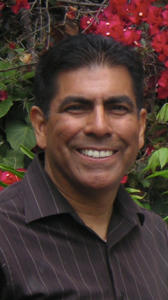 Martin Rodriguez serves the Hollywood Church of Christ in the capacity of the Family Life Minister. Please feel free to contact him at our Church Office for more information about the local church, our ministries and any other ways we might be of service. Our Family Life Ministry is primarily aimed at our Church Family, as well as at individual family units. This Ministry is geared to get people connected in expressing their gifts and talents in such a way so as to bring honor and glory to our God. 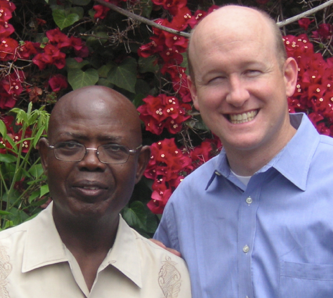 The Hollywood Church of Christ is led by men who have been recognized by this Church as those whom the Holy Spirit has blessed with unique leadership qualities. These men, along with their wives and families are involved in providing guidance in many aspects of the church life. From left to right below are Eno Otoyo and Paul Giboney. The Hollywood Church also recognizes Dan Rodriguez, one of our former ministers, pictured below, as a resource in being associated with our congregation. © 2019 Hollywood Church of Christ. Designed by Pixellent and powered by Shopify.